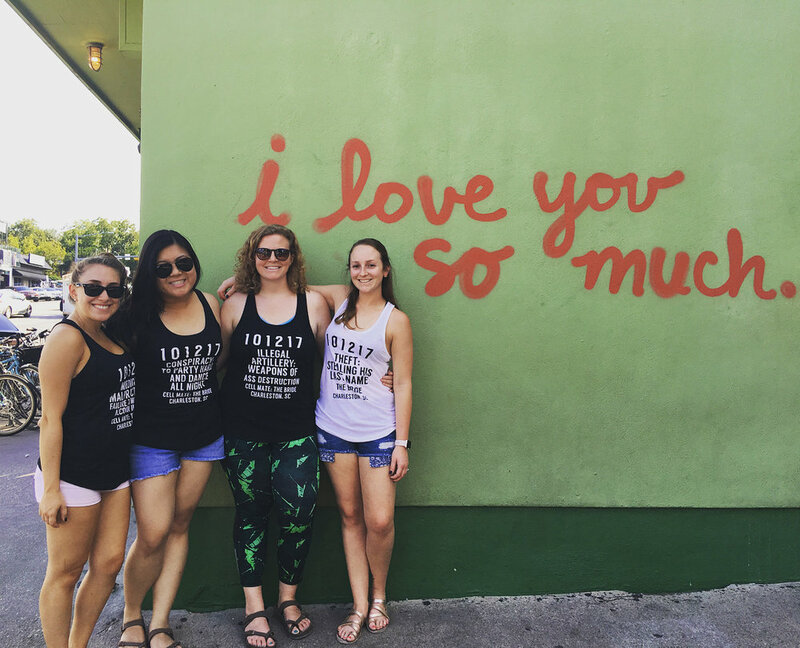 A few weeks ago, my best friend, myself, and a few of her girlfriends traveled to Austin, Texas for her bachelorette weekend. I have always wanted to go to the weird city of Austin (their motto is Keep Austin Weird) and this seemed like a perfect time to go. I'm going to take you through our experiences in this funky town. 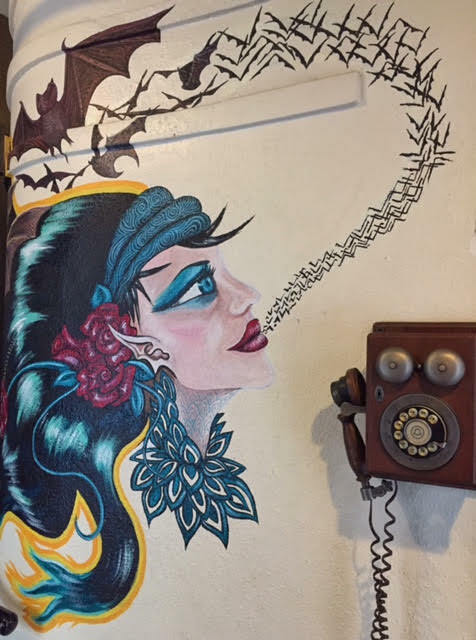 A rad hostel right off of the famous 6th street in Downtown Austin. This old firehouse turned hostel was a perfect place to house a few drunk girls for two nights. We were welcomed by the friendly Jared with "check-in beers" and good conversation. We stayed in the private Carrington Suite with a queen size bed and bunk beds with a pull-out futon. We had a private bathroom as well. There is also a lounge downstairs hidden behind a bookshelf that acts as a door! 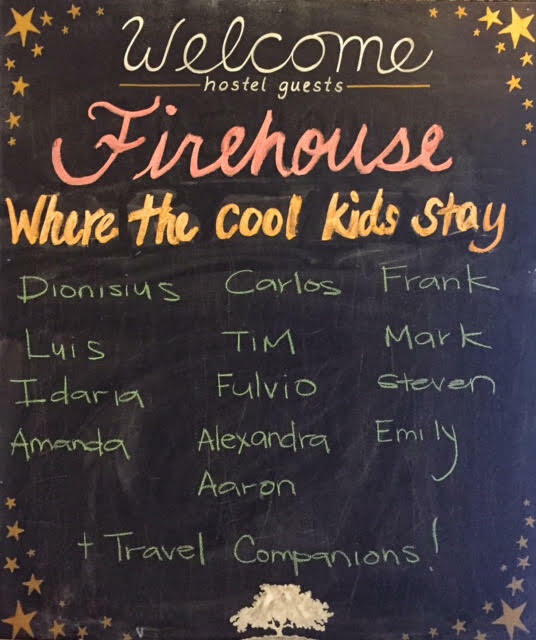 I would definitely recommend staying at Firehouse! Where the cool kids stay, duh. The decor at Firehouse is pretty sweet. We spent our first day walking around and eating. 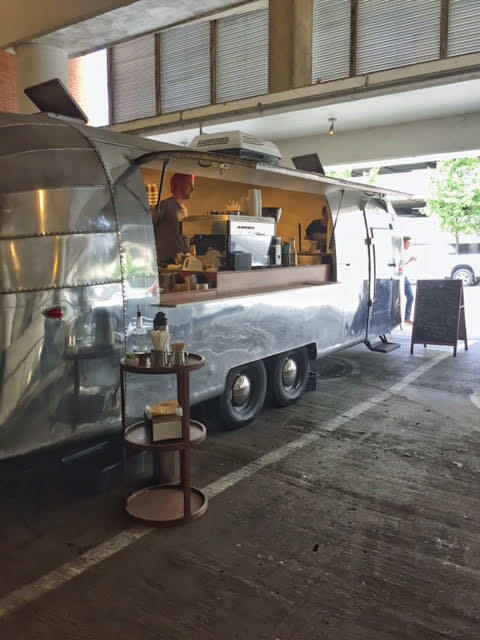 We started at My Name is Joe Coffee, a converted Airstream food truck serving coffee and other deliciousness. As a recommendation from the server, I had a creamy Horchata Latte and an extremely decadent NOLA style french toast with a marscapone filling. It was absolutely delicious. We walked up and down the city's streets before landing at Iron Cactus for Mexican Mules and lunch. I was still relatively full from the french toast, so I only had chile con queso while the other ladies had the Fish Tacos, Picadillo Purses, and Enchiladas. Only good things were said about their dishes! We waited out the rain here and enjoyed more drinks before heading back to our hostel to relax, shower, and get ready for our night out. The view from our room of the old haunted Driskill Hotel. 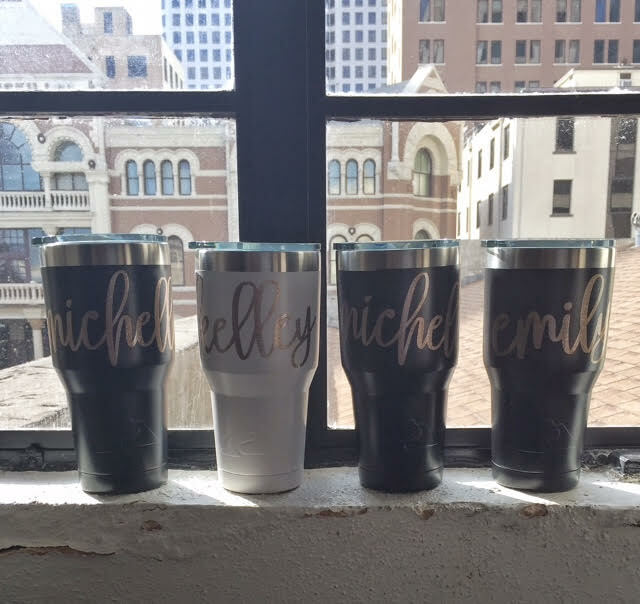 Decals on our bridesmaids cups made by my friend Brandee over at My Southern Way. After getting all dolled up, we headed back out for our first night on the town! We walked to Italic, a rustic Italian Restaurant on West Sixth Street. We shared a meat and cheese board, which was okay, but the pasta I had was to die for. It was a butternut squash ravioli in a brown butter sauce. #stilldrooling If it was socially acceptable to lick your plate in a public setting, I totally would have. A delicious meal and a few strong cocktails later, we hit up the iconic Sixth Street. 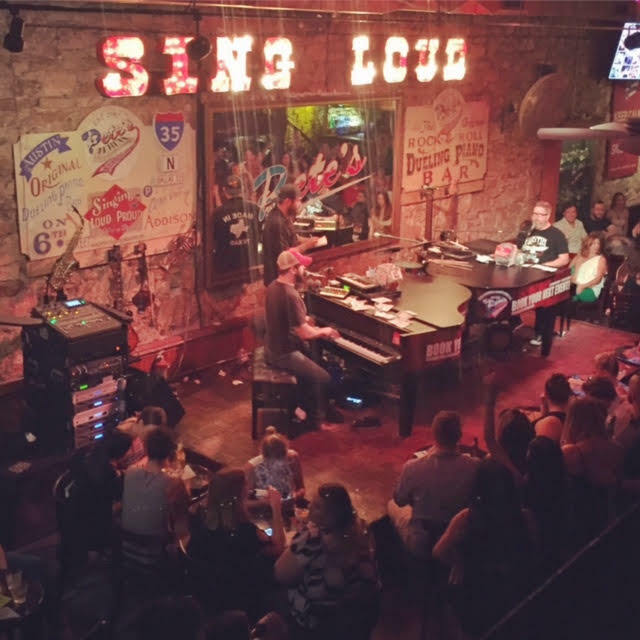 We wandered into a few bars for some (free) drinks but ended up at Pete's Dueling Piano Bar. We paid a $10 cover and enjoyed a night of drinking, dancing, and screaming at the top of our lungs singing. It was amazing! If you're going to Austin, I would highly recommend making a trip to Pete's. They bring people up to dance at the front and you can pay them to play any songs you would like to hear. They definitely pick the requests with the highest price tag, but who wouldn't? My favorite moment: watching guys dance to Pony by Ginuwine. 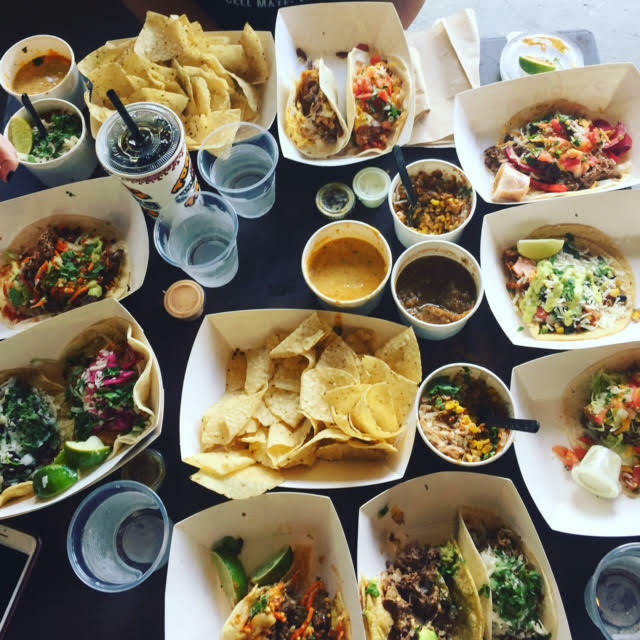 The next day we wandered out for food and ended up taking an Uber out to South Austin Trailer Park and Eatery where we hit up Torchy's Tacos. Y'ALL, let's just say this--four hungover girls at 12:00 in the afternoon ordering tacos was a big success. We were starved and our eyes were definitely bigger than our stomachs. We each ordered a massive amount of food and then devoured it in a short amount of time. Everything was spectacular. I ordered the Green Chile Pork taco, the Crossroads (brisket) taco, the TukTuk (the September taco of the month which was Asian inspired), and a side of street corn. We also ordered a queso and chips to split. HOLY. COW. So much food and so worth the lethargic feeling and belly-ache later. Torchy's is definitely a must while in Austin! We walked over to South Congress Street where we wove in and out of boutiques and little shops selling some amazing things--jewelry, artwork, and antiques. We even went into an amazing costume shop called Lucy in Disguise with Diamonds. We stopped in at Jo's Coffee for an iced coffee and a picture with the famous "I love you so much" mural. Apparently the owner and his ex-girlfriend got into a fight and she spray painted it on the side of the shop. While their love lasted for awhile they sadly broke up but now they are really reaping the benefits of that fight. Our AMAZING shirts are from Line Liam on Etsy! After walking around and shopping, we took an Uber to Barton Springs Pool. It's a pool naturally filled by underground springs. We paid the $8 non-resident fee to get in and the place was hopping! There were people floating on pool floats, doing backflips off a diving board, and swimming laps. It was a sunny and warm day but the water was freezing! After a lot of walking, relaxing at Barton Springs was welcomed! If you're looking to relax and lay in the sun, Barton Springs is your place! 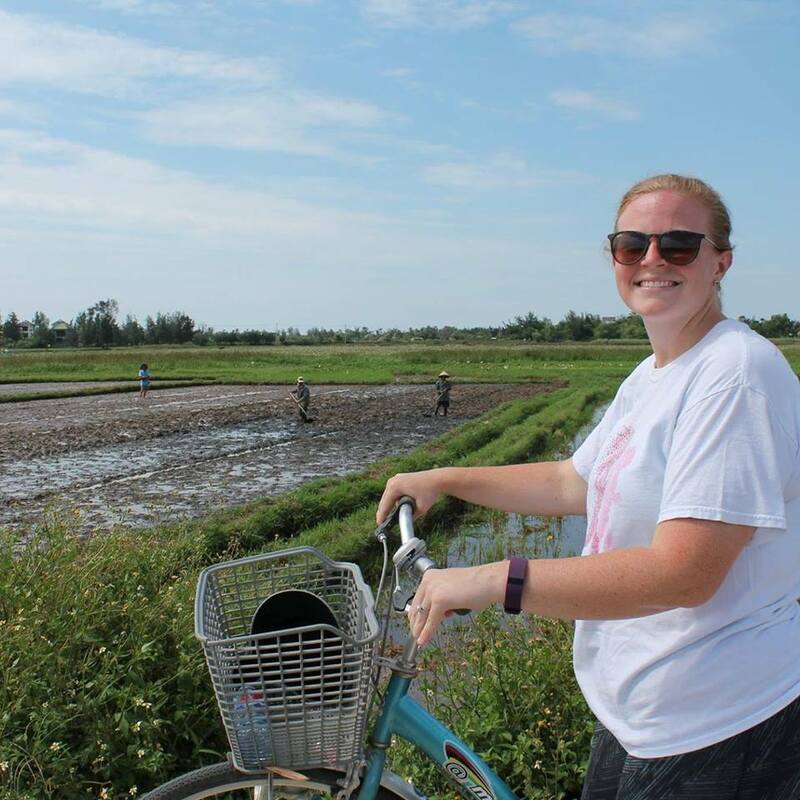 We headed back to our hostel and relaxed a bit before getting ready to go out for the night! We ate dinner at a restaurant right near our hotel called The Roaring Fork. I ordered a large salad (I needed some vegetables in my life!) and a green chile mac and cheese to split. The mac and cheese was definitely the best part. The drinks were strong and the dinner was delicious! We took another Uber down to Rainey Street, a strip of renovated houses that have been converted into hip bars. We started out at Bungalow where we played a few games of Jenga then moved to Container, a bar constructed out of recycled shipping containers. These bars have a really hip vibe and a cool crowd of people. We had a blast dancing, drinking, and meeting new people. I would highly recommend hanging out on Rainey Street. We only went to these two bars but the street is lined with them! 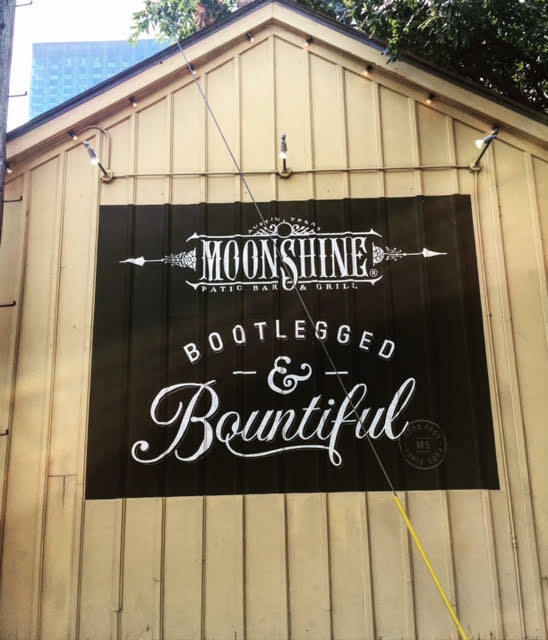 On Sunday, we walked to Moonshine Grill where we were told we had to have brunch. While I was not a fan of waiting almost an hour, I can now say that it was totally, 100%, absolutely worth IT. 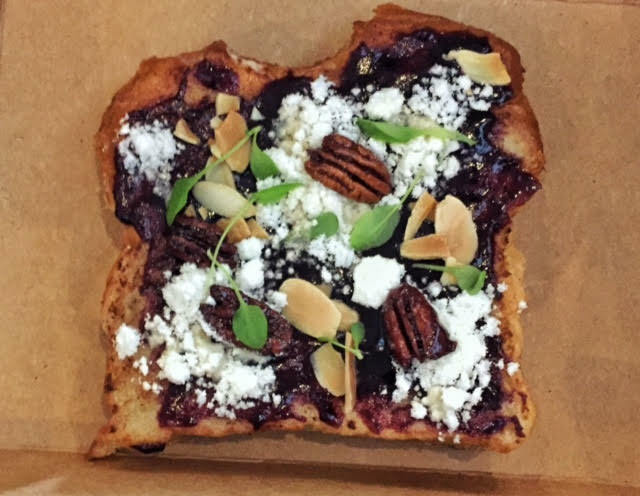 They have a brunch buffet, where they serve everything from french toast, ham, biscuits and gravy, pastries, fried chicken, green chile cheese grits, and more. I will not divulge how many plates of food I ate (it was an all-you-can-eat buffet, so whatever) but I will say that you must go here for brunch. You will have to wait but order a Mimosa or a Bloody Mary and just wait it out. It will be worth it. After our amazing brunch, we walked back towards our hostel and stopped at Museum of the Weird on Sixth Street. It was similar to a Ripley's Believe It or Not and it was full of strange and unusual things. I wouldn't say it was worth the $12 entrance fee, but it was a perfect thing to do for an hour before flying out of Austin. Well there you have it! We had a blast on Kelley's Bachelorette Weekend in Austin. It's a totally rad city full of food trucks, neat bars, cool people, amazing street art, and a very laid back atmosphere. It's a great place to chill and enjoy life with a few of your best girls! Have you been to Austin? Leave a comment below to let me know! Sep 12 Updates and How to Make Ghee At Home!